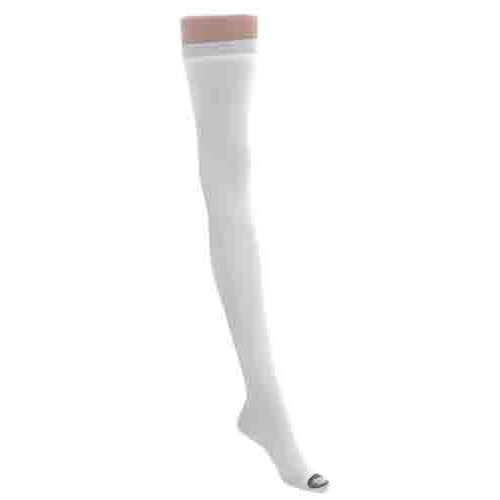 Medline EMS Thigh-High Anti-Embolism Stockings are a medium or moderate compression level of 15-18 mmHg. They are best suited for those who have recently had surgery, spend a lot of time on their feet or need a little assistance increasing the circulation in their legs. The level of compression therapy should be discussed with a medical professional. Crafted from nylon and spandex material, the stockings provide flexibility for movement during use without being damaged. The nylon provides incredible strength against runs or tears and a comfortable compression. Thigh-High EMS Anti Embolism Elastic Stockings have the most pressure around the ankle and the pressure gradually decreases as it goes up the leg. This helps to facilitate circulation, providing pain relief and intense comfort. 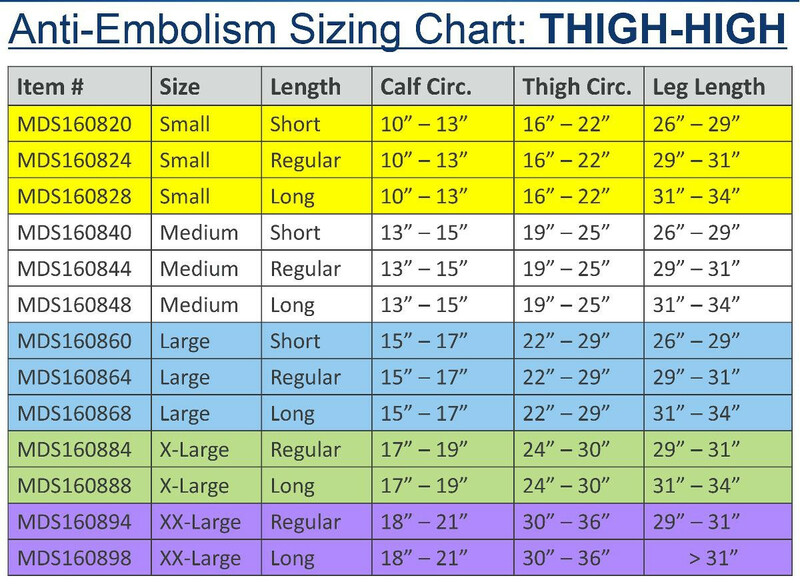 Medline Anti Embolism Elastic Stockings are color coded at the toe as well as the top of the stocking, contrasting the white of the stocking to see at a glance the size. Each pair also comes with a measuring tape to ensure the right fit. They come in small to extra large sizes with short, regular and long lengths.